Tanya Biank is an author and journalist. 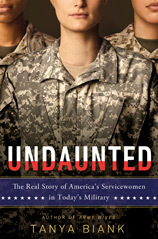 Her latest book, UNDAUNTED: The Real Story of America’s Servicewomen in Today’s Militarygives the inside story of military women’s professional and personal challenges from the combat zone to the home front. 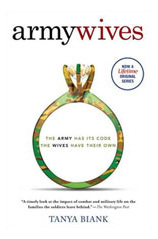 Tanya’s book, ARMY WIVES: The Unwritten Code of Military Marriage was the basis for Lifetime TV’s hit series, ARMY WIVES, which ran for seven seasons and is one of the top five longest running drama series in basic cable history. Tanya served as a consultant for the show, which was cable’s No.1- rated drama series among women. A portion of the proceeds from many of Tanya’s book signings support the military community. During Tanya’s days as a newspaper reporter she traveled around the world with troops. Her coverage of the Fort Bragg Army wife murders in 2002 led to congressional inquiries and changes in Army policy. Her work has appeared in a number of publications, including The New York Times and The Wall Street Journal. She has been a guest on national television and radio, including Good Morning America, CNN, FOX News, MSNBC, ABC News and NPR. Tanya enjoys traveling the country as a guest speaker and meeting members of the military community. She has spoken at dozens of places from coast to coast to include the United States Military Academy at West Point, The Pritzker Military Library in Chicago and the Women’s Memorial at Arlington National Cemetery. Tanya has been the guest speaker for spouse club luncheons, FRG groups, libraries, schools, book clubs, military formals, veterans’ organizations, Memorial Day events, and women’s issues forums. Tanya is an Army brat and Army wife. She comes from a family of combat veterans and active-duty service members and is a proud member of the Society of Daughters of the United States Army. During her father’s thirty-year career in the Army, she grew up on military posts throughout the world. Tanya lives with her husband and two children in Maryland.